For the discerning guest looking for the last word in ‘super luxury’ getaways, there’s little better than The Resort Villa in Rayong, Thailand. 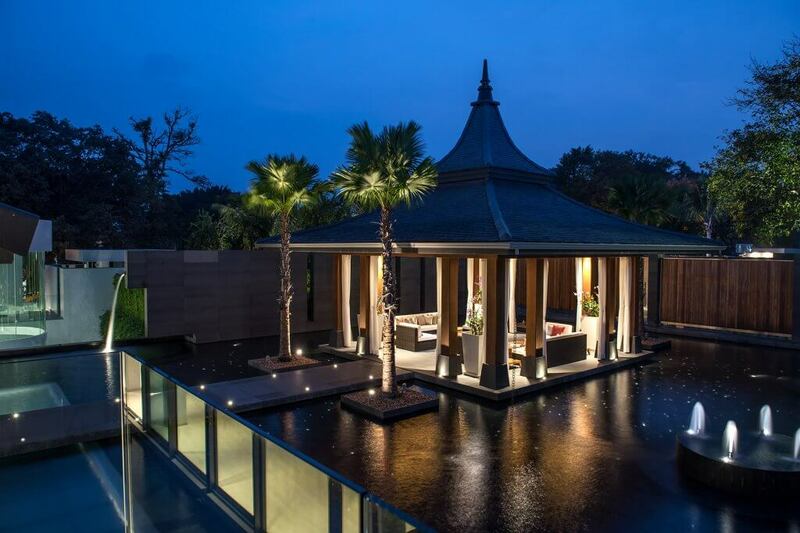 With its seven exclusive villas and sprawling real estate that accommodates up to 14 guests, it’s no wonder that the property was recognised as Thailand’s Most Recommended All-Inclusive Retreat in LUXlife Magazine’s illustrious 2019 Global Luxury Hotel & Spa Awards programme. Eager to find out more, we spoke to The Resort’s Benjamin Tellenbach who was happy to offer more insight into the prestigious establishment. Thailand is swiftly becoming a must-visit destination for any traveller who wants to truly see the best of what life has to offer. For Western tourists, it offers something different from the everyday: a celebration of bombastic colour, grand architecture and delicious food. Further, the country’s archetypal natural beauty has long been documented, with its deep turquoise seas and lush, vibrant rainforests. It is, more than that, almost a paradox. Thailand is a combination of astonishing man-made creations intermingled with earth-forged vistas. Think Phang Nga bay and Wat Rong Khun. Wat, Arun Ratchawararam and Khao Sok National Park. The Resort Villa unites these two almost paradoxical principles of man-made and natural beauty and improves upon it, creating a property that creates a lasting, and profound impression. Hidden close to the city of Rayong on the east coast of the Gulf of Thailand, The Resort Villa is an experimentation of modern elegance and contemporary, often deceivingly simple, design. Yet, in line with its dedication to sustainable living, it doesn’t aim to overpower the area’s natural offerings, only to compliment them. There’s no gaudy use of colour here, only a muted palette: all whites, and greys and browns. Occasionally, there’s a peppering of royal purple or a splash of damson to deliver a taste of prestige. But, all of it is carefully placed to accentuate the overall image. When it comes to guest activities, The Resort Villa is certainly well-equipped to challenge the world’s thrill seekers, offering Flyboards – 260hp watertoys that use water propulsions to launch users into the air – and opportunities to Jetsurf, wakeboard or even jet ski to nearby islands. For those that want a slightly slower pace to their daily activities, relaxing cruise options, kayaks and paddleboards are available to explore and capitalise thanks to The Resort Villa’s proximity to the sandy beaches alongside the Gulf of Thailand. Crucially, The Resort Villa can only be booked as a whole and not in part. Meaning that the entire property is a private haven exclusively for the use of a group of up to fourteen guests. Benjamin continues, adding that a key part of The Resort Villa’s appeal lies in the experiences that it offers. “It is the perfect destination for families and friends for special occasions such as family trips, birthdays and anniversaries. Our meticulous staff at The Resort Villa will ensure guests have remarkable experiences tailored to their heart’s content. 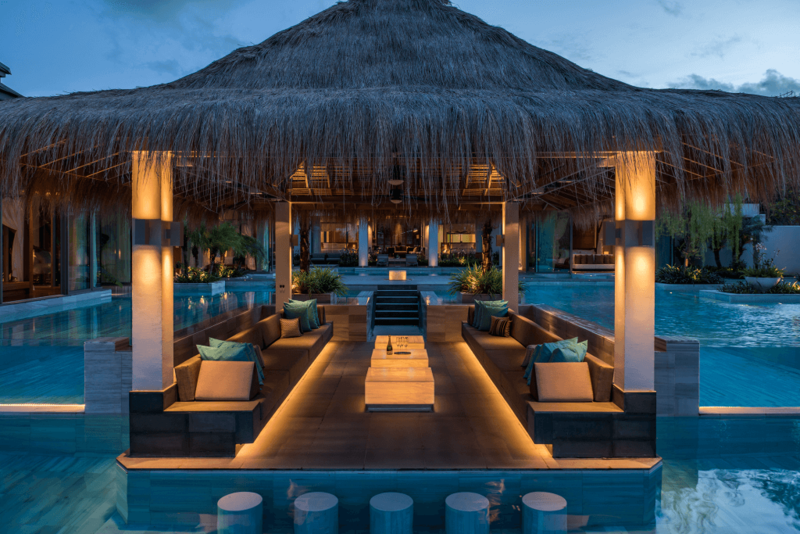 With private chefs that create sumptuous dining menus inspired by fine French dining, Thai and other Asian favourites, The Resort Villa will for sure take guests on a unique gastronomical journey. All in all, The Resort Villa offers a taste of something almost otherworldly. It is a place where every whim is fulfilled, and every need catered for. It is a place that demands to be experienced – a true masterclass in luxury.